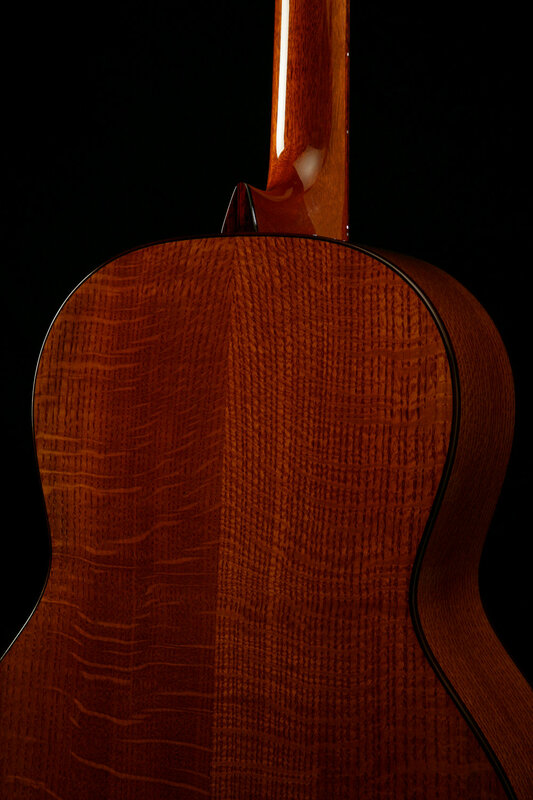 Ziricote back & sides with Adirondack spruce top. 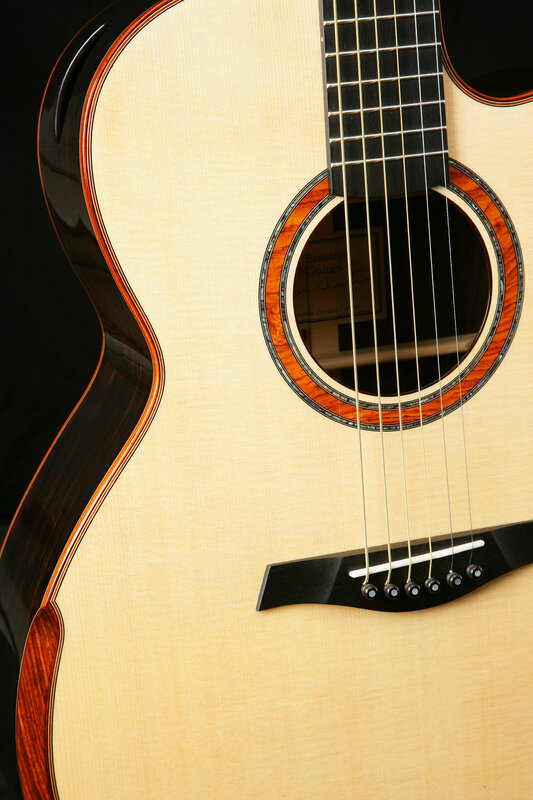 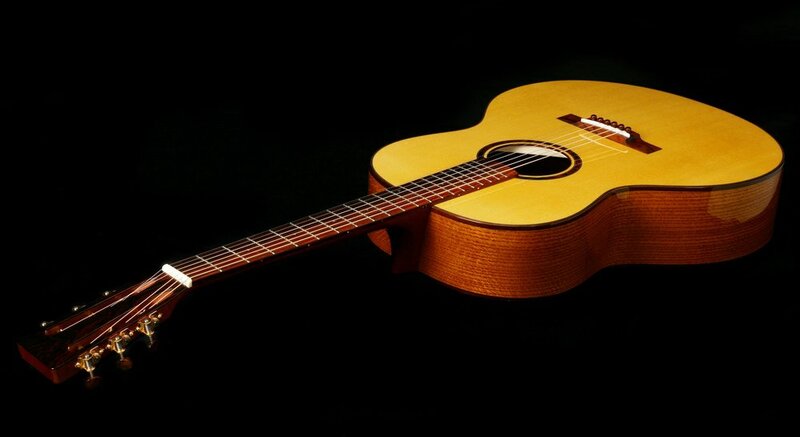 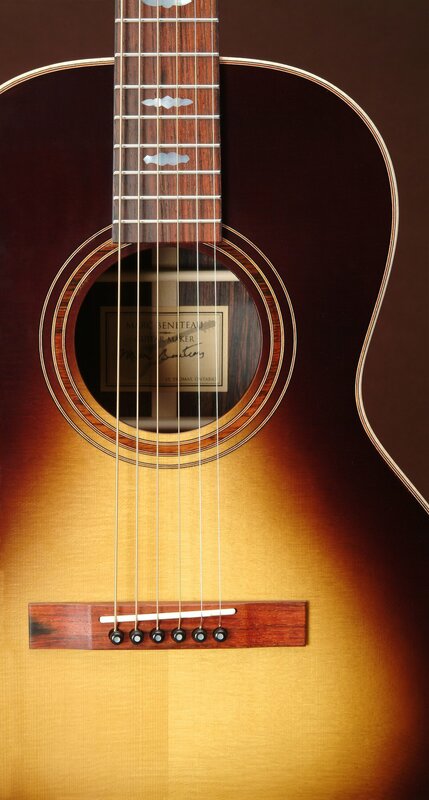 Fan Fret, Laskin Armrest and Florentine cutaway. 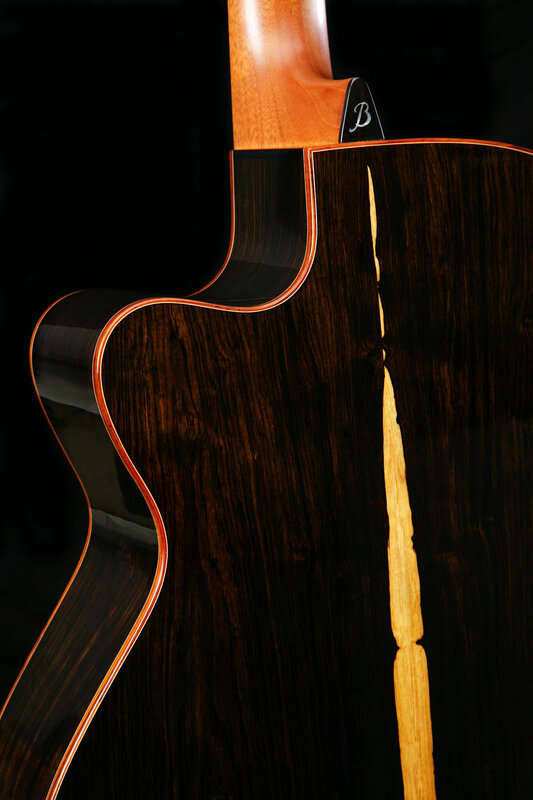 African Blackwood back & sides with Cocobolo binding. 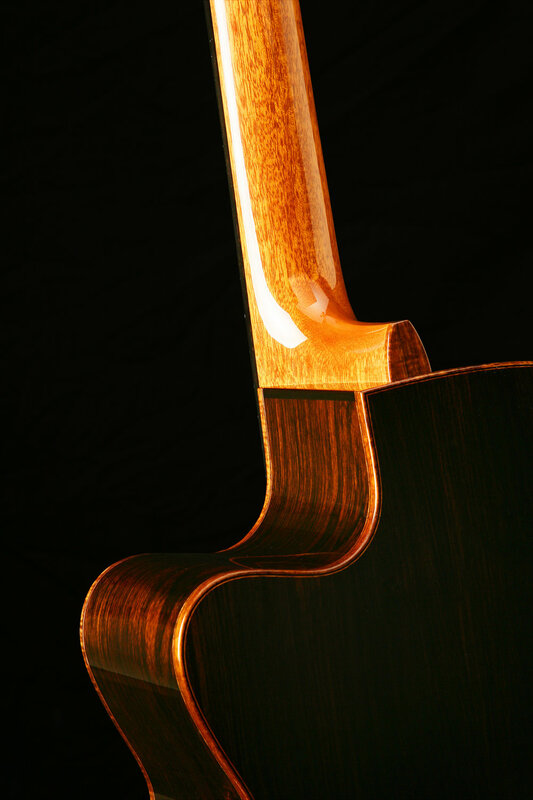 Laskin Armrest and Venetian cutaway. 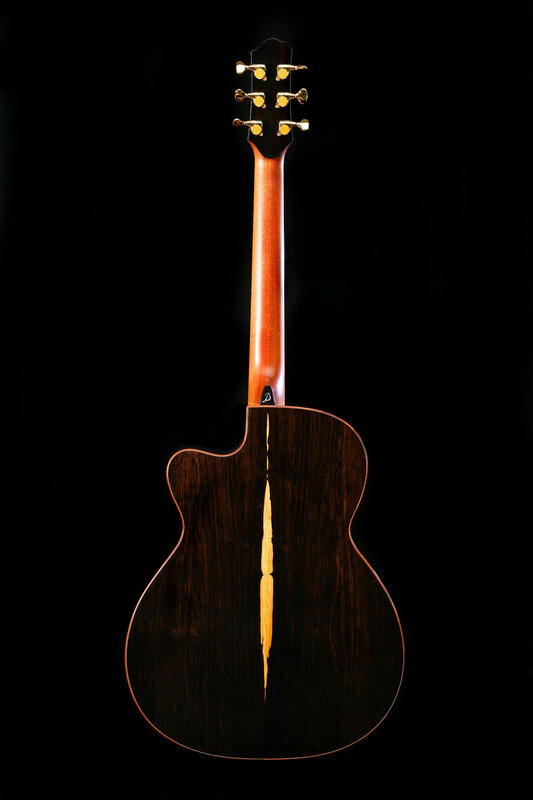 This Mission guitar was made as a nod to the 'Arts & Crafts Movement' from the turn of the century. 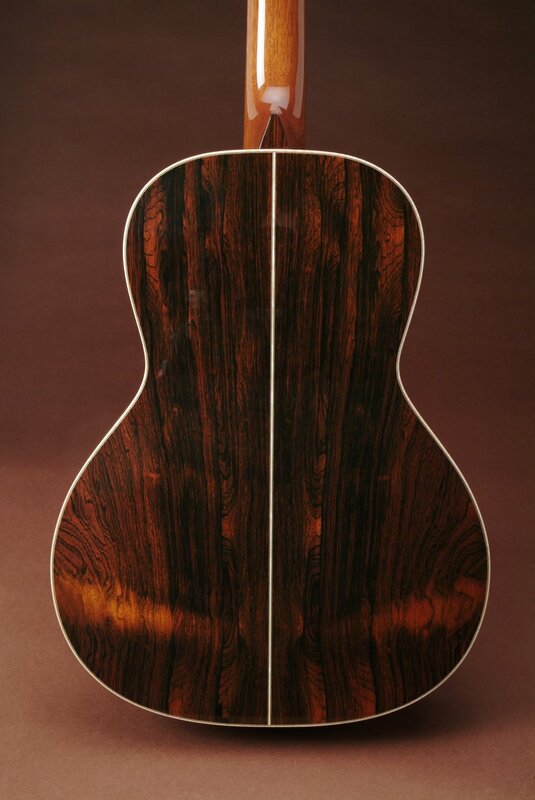 Here we have an '0'-sized parlour with Quartersawn figured White Oak and an Adirondack Spruce top. 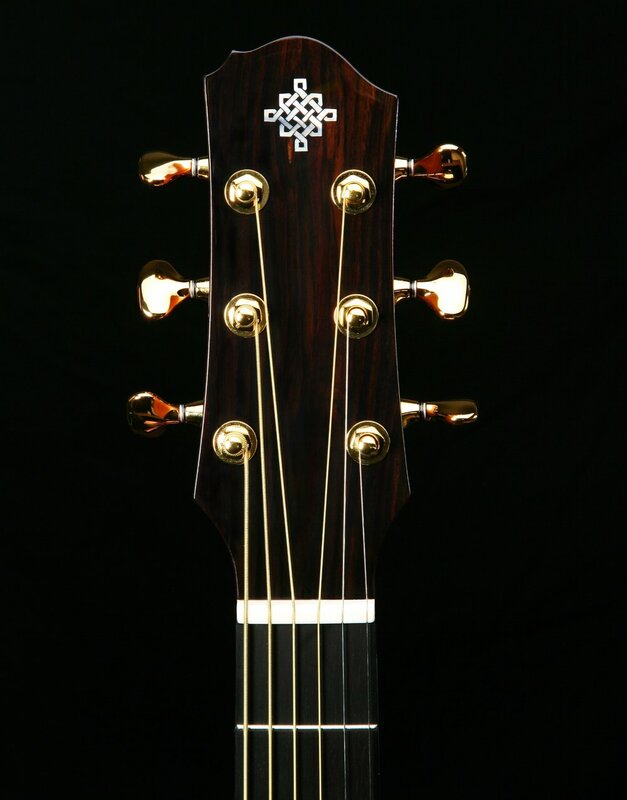 13 frets to the body with traditional Nick Lucas fingerboard pearl inlay. 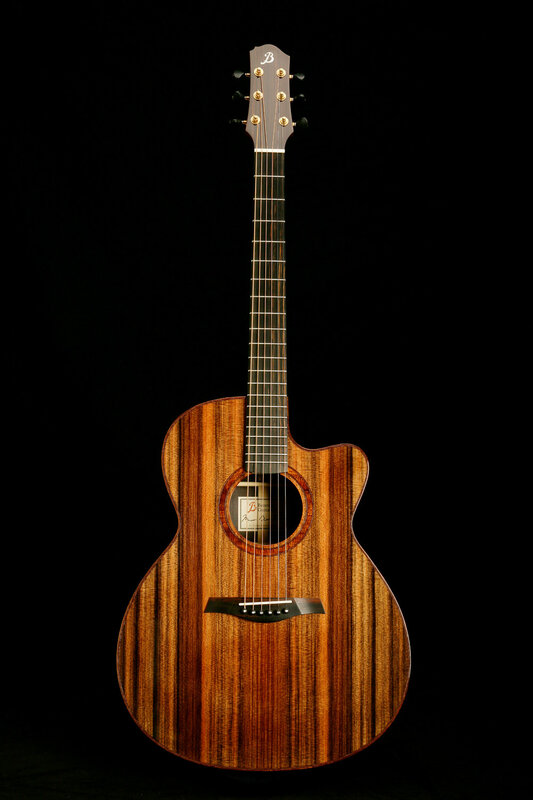 Options: Brazilian Rosewood, Sunburst Finish & Waverly Tuners. 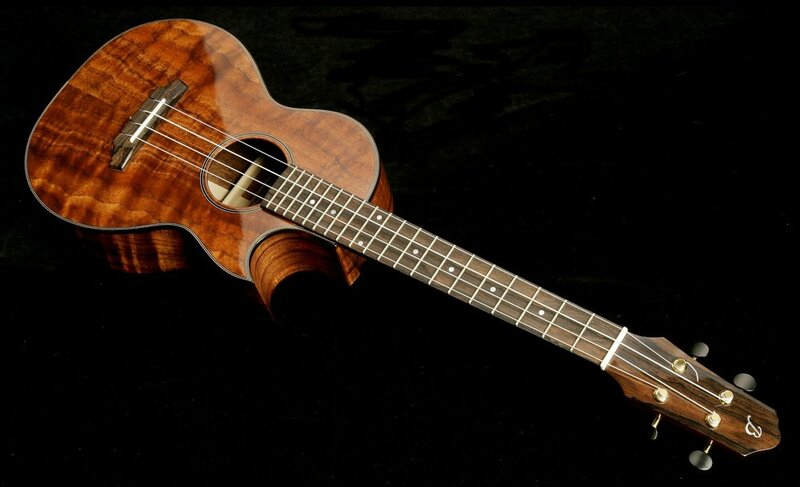 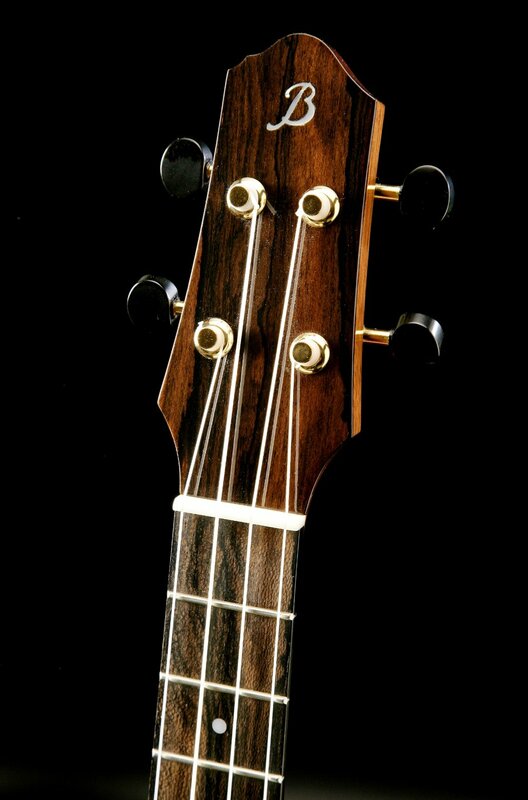 Ziricote fingerboard & bridge, Ziricote bindings & trim, Gotoh telescopic ukulele tuners.